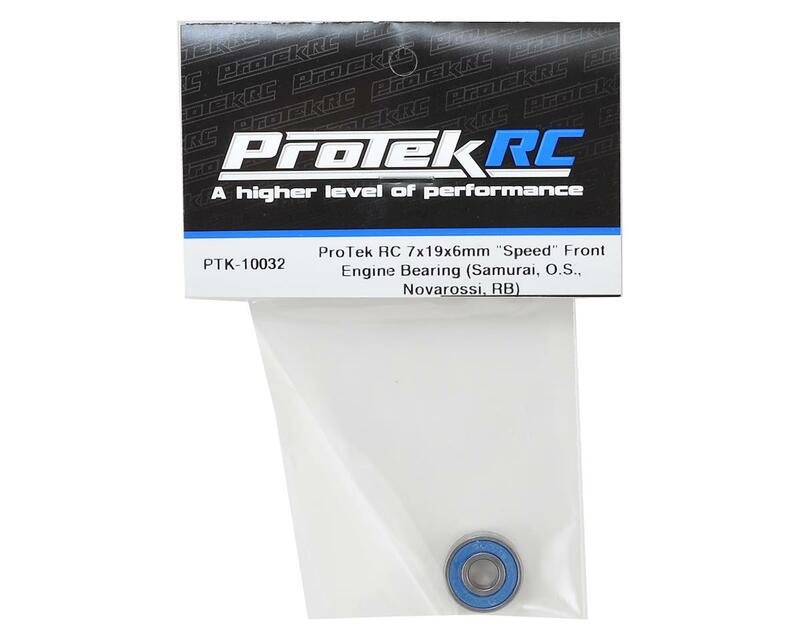 This is a rubber sealed "Speed" front bearing from ProTek R/C. This bearing is designed to fit the O.S. MAX .21 RG, VZ-B and VZ-B V-Spec off-road competition buggy engines. This bearing will also fit any other .21 competition buggy engine that uses the same bearing dimensions, such as the RB Concepts WS7, WS7II, Top P5 etc. The bearing dimensions are 7mm inner, 19mm outer and 6mm thick. This bearing is sealed to stop fuel leaking out the front of the engine during use. 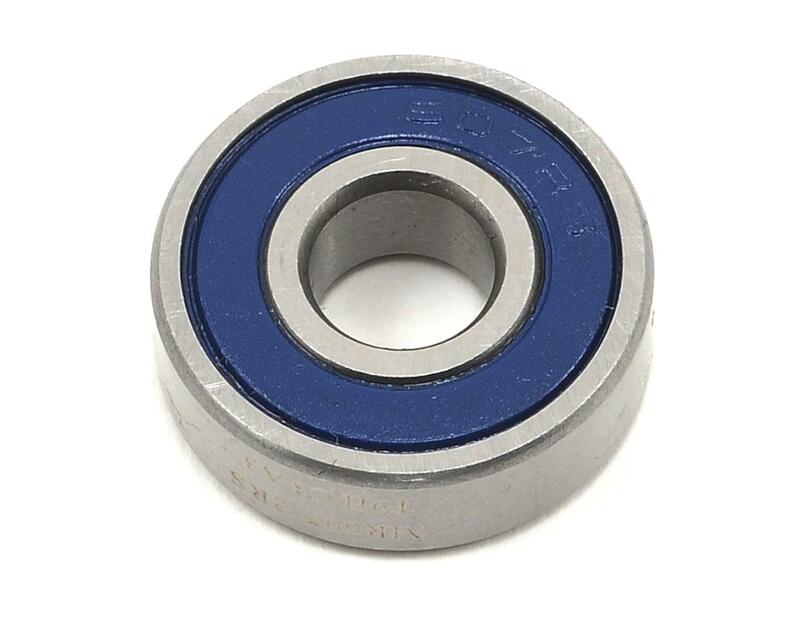 These bearings come with seals on both the front and rear of the bearing. Some people prefer to install the bearing with both seals intact, however we recommend that you remove the seal from the side of the bearing that will be going into the engine, to ensure that the balls in the bearing get the proper amount of lubrication. I am impressed with the quality of these bearings. The first thing I did was pull one seal off to inspect the inside. It has a plastic retainer that resembles the Nova bearings, and spins smooth. This is a step up from other inexpensive front bearings that I have seen. The picture is accurate besides the seals are black unlike some other bearing companies that show one like this but you end up with something that is obviously inferior. mounted in novarossi 21.plus-4 and it last only 2 races. I can see the day light between the rubber sheet and the inner flange. I am not convinced in the quality of these bearings.